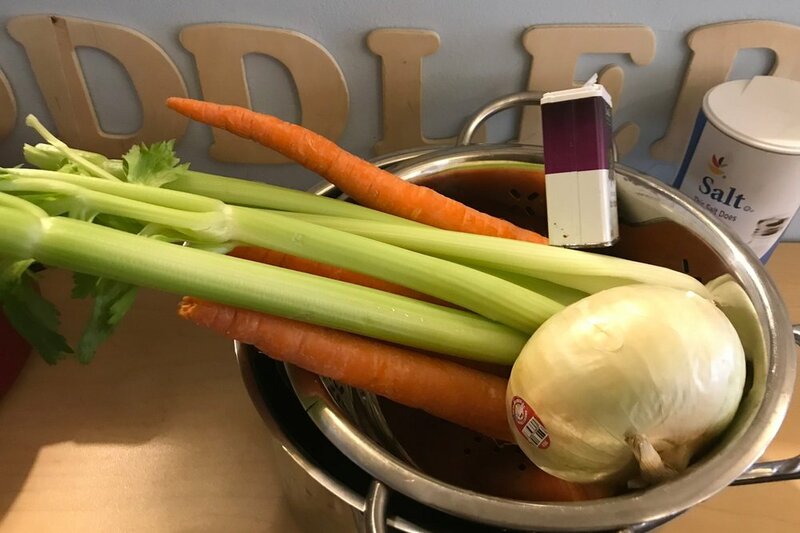 The Toddlers will be making broth today using carrots, celery, onion and seasoning. Children will be learning new vocabulary, learning how to use different tools and learning about different vegetables. Tagged with Food, Cooking, Vocabulary. January 8, 2018 by webmaster. On January 3, 2018 we read the book “Before we Eat from Farm to Table”. Our learning goals are literacy, language and to support the children's understanding of where food comes from. Does your child have a favorite book about food or cooking that you would like to share with us or come in and read to us? The Toddler Friends continue to be interested in and enjoy cooking experiences. We have been cooking a different recipes throughout the year and will be sharing a variety of the activities and materials that we invite children to investigate. We incorporate literacy, math, social skills, and science into our cooking explorations. We have invited families to share favorite recipes with us to support our school to home connection. We are looking forward to trying your favorite recipes. Would you like to come in and cook with us? Would you like to come in and cook with us? The children vote on which recipe they want to cook. 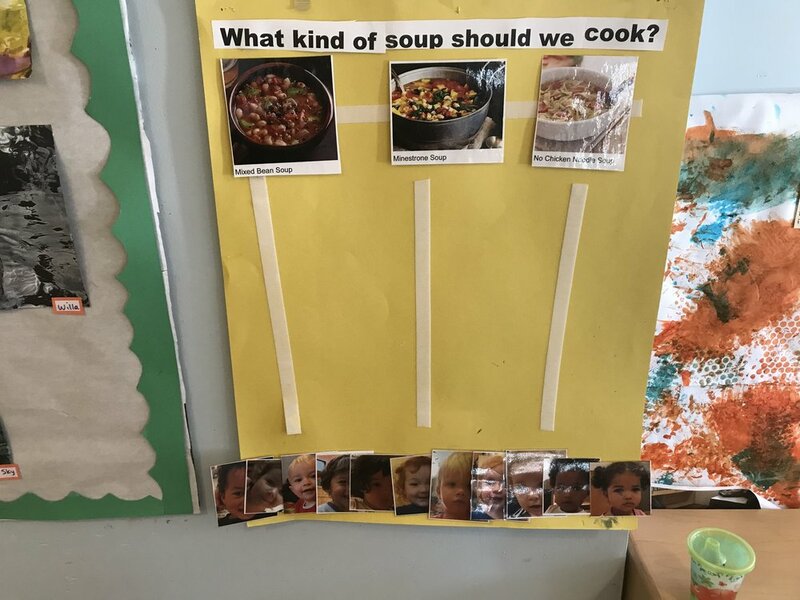 The children vote on which recipe they want to cook. This activity supports children's math skills: counting, data collection, comparing, as well as language/literacy and name recognition. Tagged with Literacy, Food, Cooking.